Does the union make Uber strong? 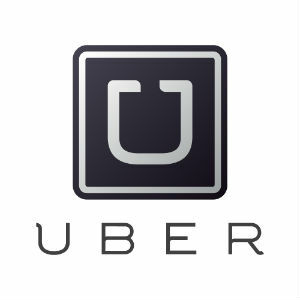 Front Page » Business » Does the union make Uber strong? With its recent 9-0 vote, Seattle’s City Council decided to extend collective bargaining rights to Uber and Lyft drivers. The App-Based Drivers Association (ABDA) lobbied for the outcome in collaboration with a local Teamsters union. Reactions to the decision have been split along the usual, predictable lines. Lyft claimed in an official statement that the ordinance threatens drivers’ privacy, imposes unnecessary costs and conflicts with longstanding federal laws; in particular, federal labor laws regarding independent contractors’ ability to collectively bargain. The mayor of Seattle himself, Ed Murray, has also come out against the decision. Murray states that while he supports extending bargaining privileges to these workers in principle, he “…remain[s] concerned that this ordinance, … includes several flaws, especially related to the relatively unknown costs of administering the collective bargaining process and the burden of significant rulemaking the Council has placed on City staff.” However, under Seattle law, the ordinance does not require Murray’s approval for passage. One of the bigger critics has been Forbes writer Jared Meyer. Meyer argues competition is the key to improving Uber, rather than unionizing the drivers. Meyer points to 8 out of 10 Uber drivers reporting satisfaction with their work arrangements. There are, however, a few problems with this argument. First, it doesn’t account for Lyft, which is the other half of the equation. Secondly, the survey Meyer cites doesn’t define “satisfaction”. Nor does it explain the metrics used to measure satisfaction. Even if we assume the study’s legitimacy, it only measures 20 markets in which Uber participates. And within those markets it only asks a little over 600 active Uber drivers, making it a small sample size. In which case there should be more studies referenced than just one — beware the man of one study. Meyer’s case emphasizes the decline of unions in recent years. But a historical decline of a given organization doesn’t necessarily mean it’s bad. Conversely, just because we’ve had a historical increase in the state over the last decade doesn’t mean it’s good for society. That said, for all of the criticisms of Uber that fall flat, there are plenty that ring true. Uber isn’t a free market operation like some libertarians would like to believe. One of its biggest flaws is that it relies on the state to give it trademark licensing. And of course Uber is a corporation, making it a creature of the state. Though, when it comes down to it, Murray is likely correct that regulators will impose overburdensome costs on Uber. And as spotty as Uber may be in its ethics, it benefits some low-income individuals. If nothing else, it’s still superior in many ways to the medallion taxi system. There are things that Meyer and other critics of Uber get right and wrong. Meyer is correct to criticize the unionization in the way it is happening. But it is a leap from there to say that all unions are therefore useless for Uber or Lyft drivers and customers. Ideally, the workers would unionize themselves. Perhaps they could model their union on other unions that rely less on the government. Good examples include unions like the Industrial Workers of the World or the Coalition of Immokalee Workers. I agree with Meyer on the current state-union collaboration: The union makes Uber and Lyft weak, and not in a positive way for the benefit of the workers. But instead of simply giving up on unions perhaps it’s worth considering whether more radical unions could take down the current faux-sharing economy model and mutualize it. Which is to say, turning it over to the workers, abolishing its trademark and opening it up to free competition. As an anarchist, I think we can have freer competition and freer unions. And I think if we want the union to make us strong, we should do it without the state.